Clean. Naturally. Safe for You. 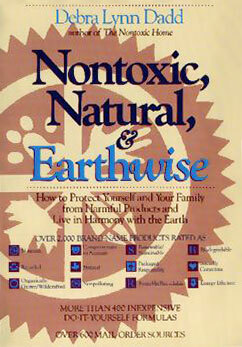 Safe for our Environment. 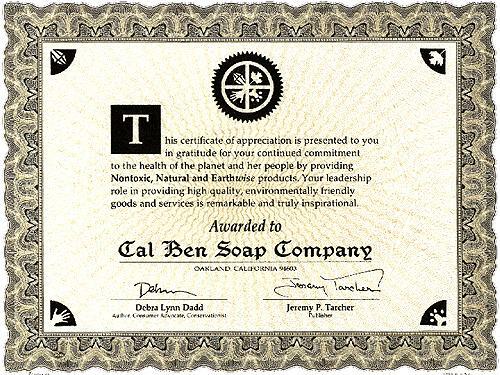 Since 1947, Cal Ben Soap Company has been showing consumers around the world that soap can be tough on dirt and gentle to the environment. Natural ingredients go into making our Five Star Pure Soaps. We use only the highest grade of white tallow and pure cocoa butter oils, along with natural extracts of almond, coconut and citrus to give you a soap that cleans without harsh chemicals. And our products are not tested on animals. We package our products with concern for the environment. The Cal Ben Soap Company is a family owned and operated business who cares about you, your family and the earth we all share. We value your support. That's why we've committed to giving you the Natural Choice. Cal Ben Soap Company. Pure Soap, an extra-hard soap made from white tallow and pure cocoa-butter oil with a very light almond essence. Cal Ben Soap Company. Seafoam All-Temperature Laundry Soap, a concentrated natural soap-based laundry compound. Natural essence. Cal Ben Soap Company. Gold Star Shampoo Concentrate, a gentle protein shampoo. Can also be used as bubble bath. Cal Ben Soap Company. Seafoam Dish Glow, a soap-based cleaner. Can be used on floors, as a multi-use cleaner, & liquid hand soap, and all fine washables. Cal Ben Soap Company. ‘Destain’ Automatic Dish Machine All Natural Automatic Dish Soap.